I started making frames out of necessity when I started showing my work in galleries. It has evolved into an integral part of my artwork. My frames are made of only the best quality solid wood and superior craftsmanship. 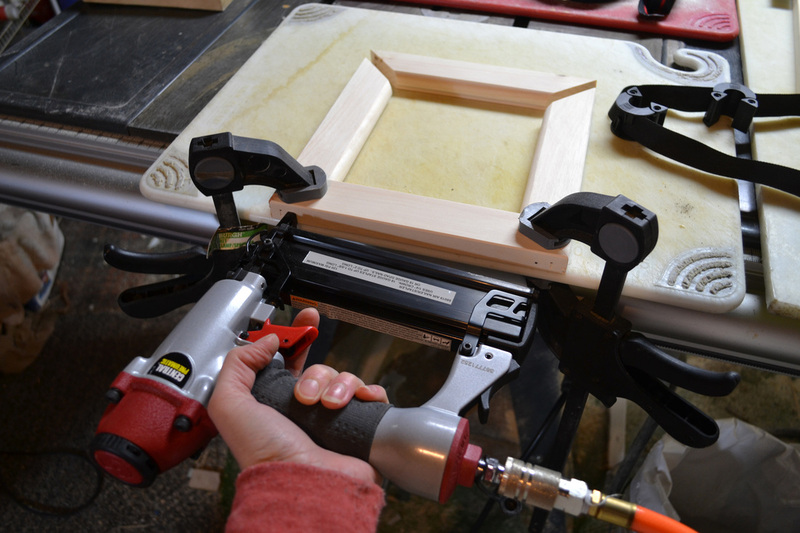 You can also click this link to view a short video on frame making! 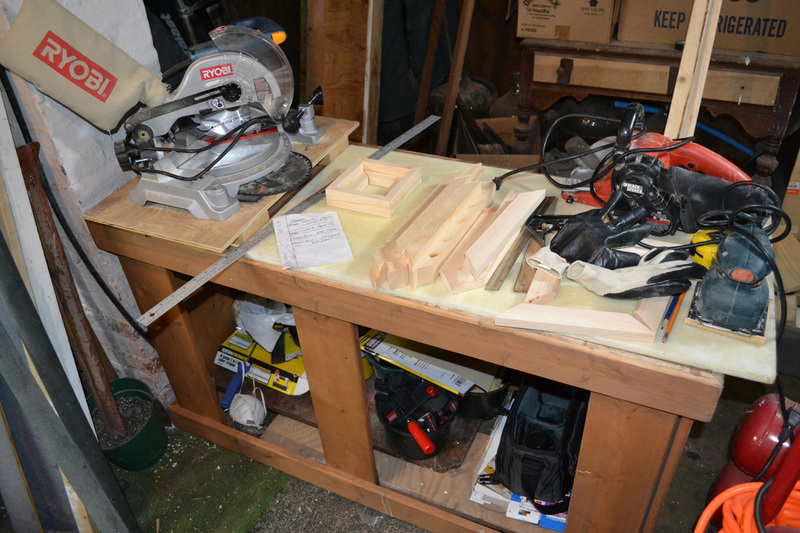 My chop saw (named Frog) and several hand sanders along with frame parts. 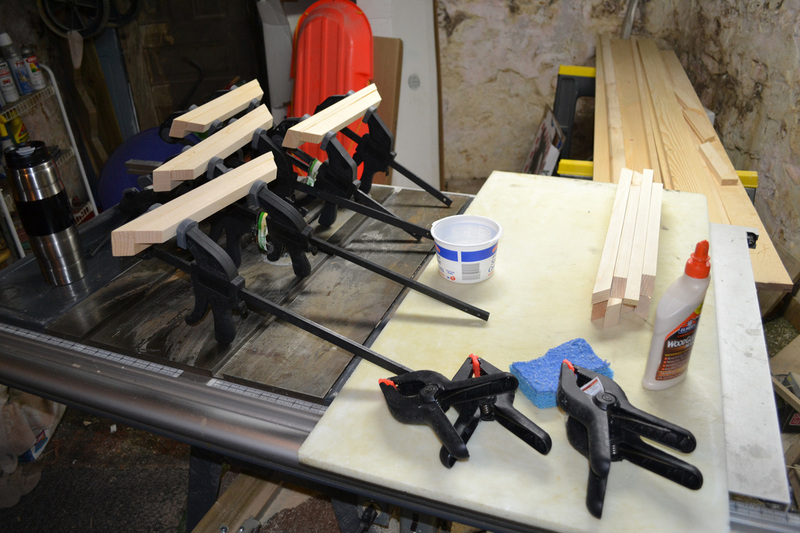 After the pieces are cut and sanded, I use my little air nailer (which I Love!) to glue and tack the sides together. 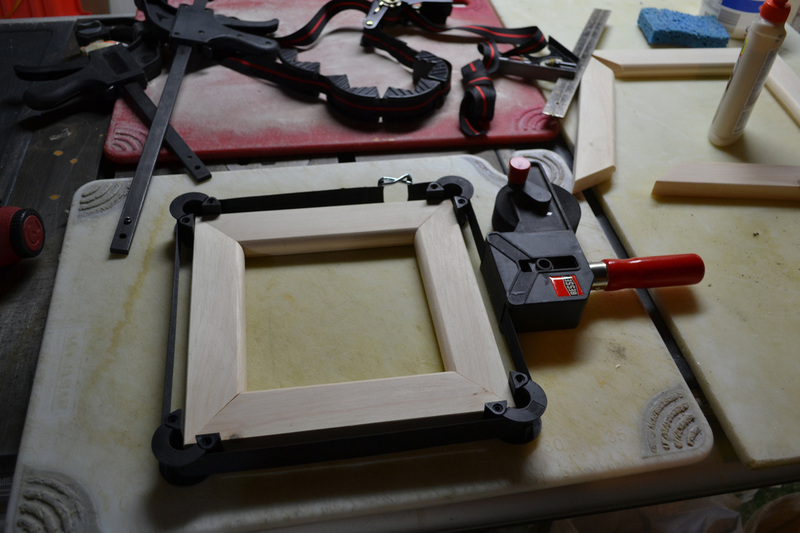 After clamping, I use a frame/belt clamp (which I also Love...) to ensure the frame is square and secure. 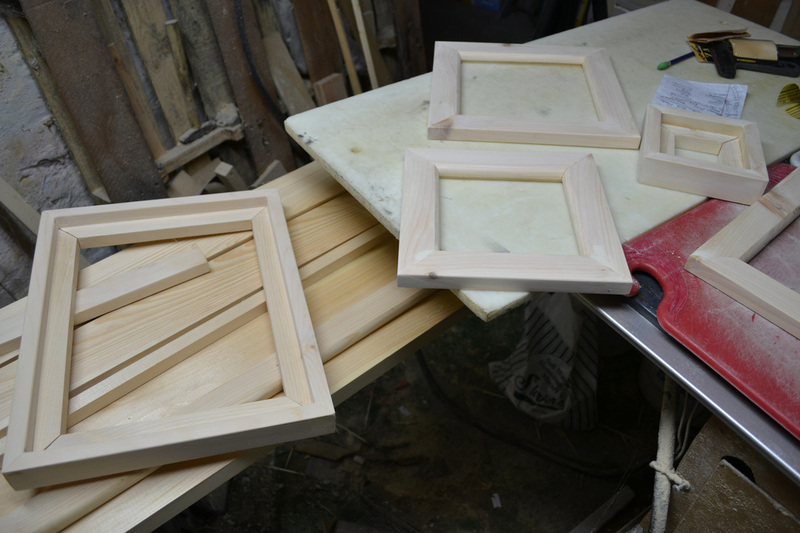 Here are 2 floater frames (on either side) and two panel frames (in the middle) ready for staining. 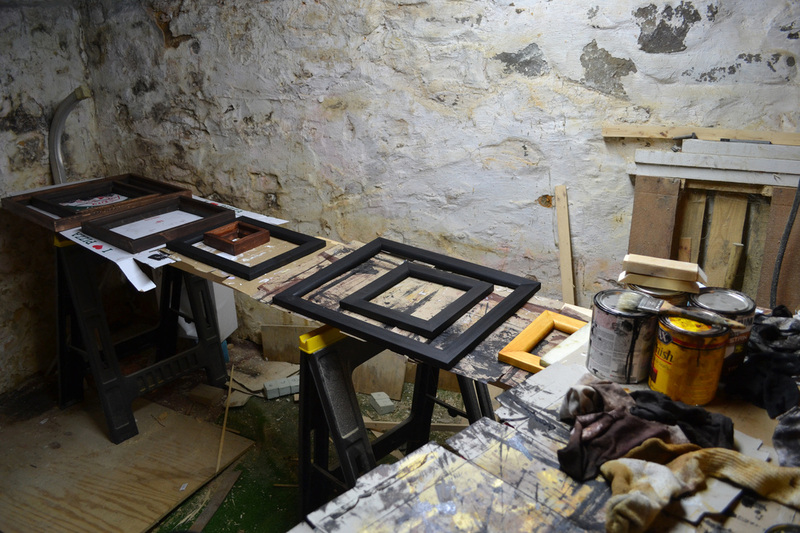 These frames have been stained and are ready for their new paintings.